Glenfern was built on spacious grounds at the corner of Inkerman and Hotham Streets, East St Kilda in two main stages in 1857 and 1876. From 1876 to 1984 Glenfern had only two owners, including the well known Melbourne family of artists, the Boyds. The property was bequeathed to the National Trust of Australia (Victoria) in 1984 and has remained in their ownership. The original Glenfern allotment was bought by John Bakewell in 1856 and sold the following year to Francis McDonnell, a prominent Melbourne investor. By 1858, the house, rated as the most valuable in Caulfield, had been built on the site. Due to financial difficulties, McDonnell offered a number of properties for sale in 1860, including Glenfern. It was not sold at this stage, but subsequently mortgaged in 1862. In 1866 Thomas Watson purchased the property and lived there until 1876 when it was sold to Captain John T. T. Boyd and his wife, Lucy, founders of the Boyd dynasty of artists, musicians, writers and architects. The Boyd family, including twelve children, lived there until 1907, with Lucy Boyd retaining ownership after her husband's death in 1891. In 1907 the property was subdivided and the greatly reduced Glenfern portion was purchased by the Ostberg family, who lived there from 1915. In the latter years of Boyd family ownership and the Ostberg ownership, Glenfern had several tenants and was run as a school on two occasions. The Ostberg family occupancy continued until the death of Miss Amy Ostberg in 1984. From 1929 the property was listed as Glenfern Flats, necessitating various internal alterations over a period of time. The original two storey house, attributed to architect Charles Laing, was extended for the Boyd family in 1876, by architect M. Hennessy. This comprised the addition of a two storey wing to the south of the existing building. 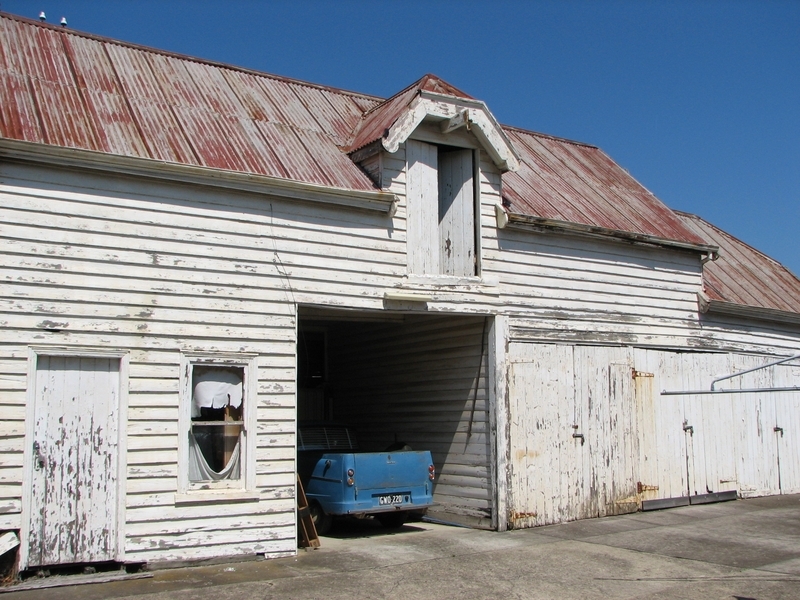 Stables were built in 1884 by the architects Smith and Johnson and other outbuildings, since removed, were recorded on the site. The gardens were developed from the establishment of the estate and remnants of early plantings, exotic trees in particular, are evident. Various additions and alterations were made to the house in the twentieth century and a separate block of flats was built on the southern boundary in c1964. Glenfern is a two storey picturesque Gothic house of stuccoed brick with steep, gabled slate roofs, elaborate bargeboards and chimneys of conjoined stacks set diagonally. The original, asymmetrically planned L-shaped house, containing the principal rooms and a rear wing, was designed with two main facades facing north and west. The north facade contains an unusual recessed pointed arch bay formed between twin chimney flues. Internally cedar joinery includes an unusual set of double doors between the drawing room and parlour, the centre pair of which fold back and then slide into the walls. 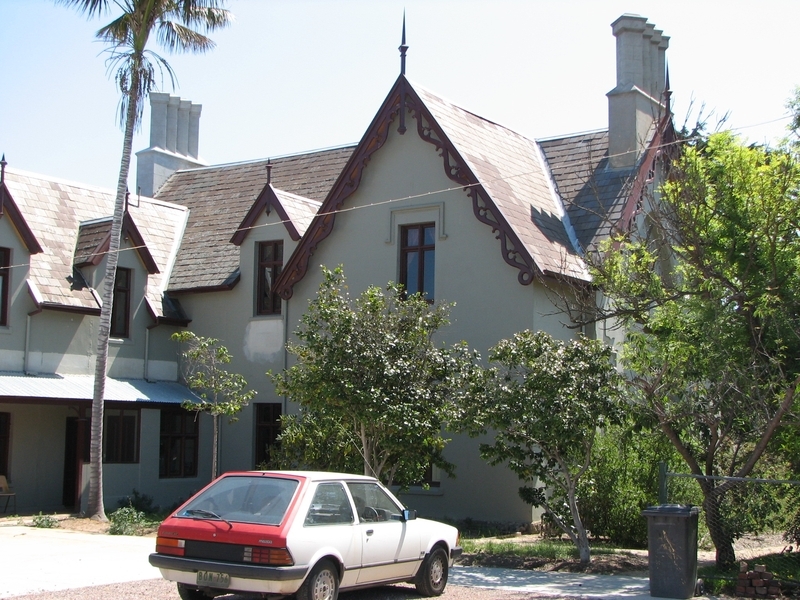 Detailing of the 1876 additions copied that of the original house, including the bargeboards, chimneys and western verandah. 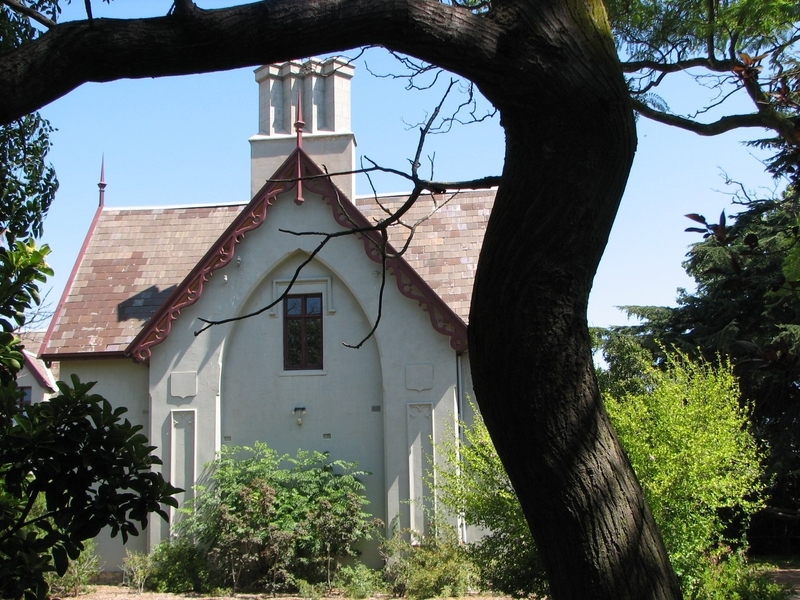 Ownership of Glenfern passed to the National Trust of Australia (Victoria) in 1984 and in 2002 transformation of the property into a Centre for the Arts and Culture commenced. This began with the establishment of an Artist-in-residence programme, followed by the Glenfern Writers Centre. Restoration and renovation of the building has been undertaken concurrently with the establishment of this centre. Glenfern, East St Kilda is of architectural and historical significance to the State of Victoria. 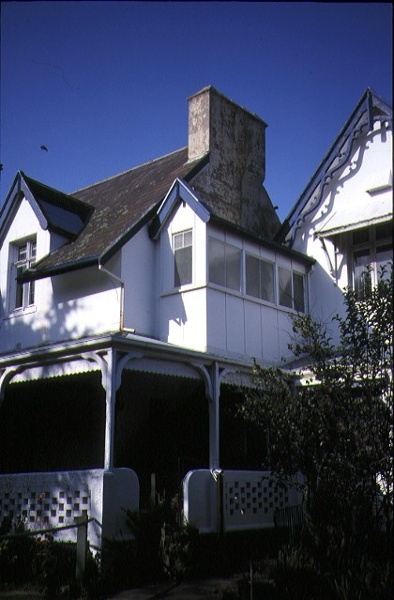 Glenfern is of architectural significance as an unusually intact and rare example of the picturesque domestic Gothic Revival house in Victoria. Of particular note are the clustered chimneys, bargeboards and twin arched chimney flues and the folding/sliding cedar doors between the principal rooms. It is significant as an important work of the prominent Melbourne architect, Charles Laing. 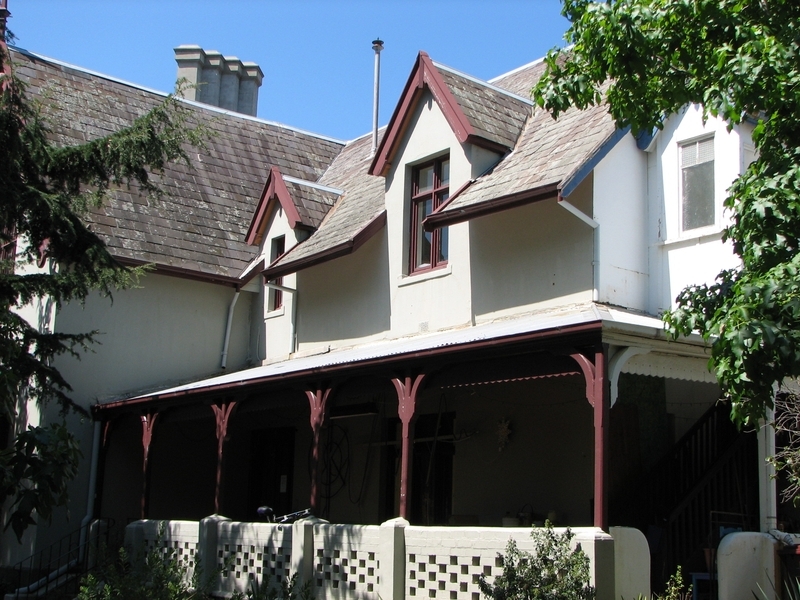 Glenfern is of historical significance for its connection with the distinguished Victorian Boyd family. It has been recorded in a painting by Emma Boyd, wife of Arthur, in 1885 and in print by writer, Martin Boyd in 1952. 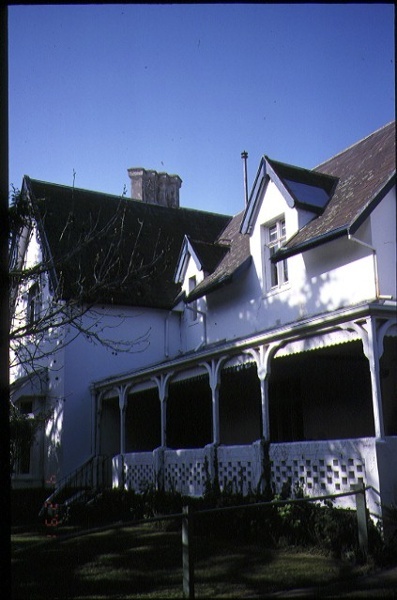 Glenfern is of historical significance due to its ownership by only two families from 1876; firstly the Boyds until 1907 and the Ostbergs until 1984. Of note is the resistance to redevelopment in the latter half of the twentieth century and the subsequent survival of the 1907 Glenfern estate. City of Caulfield. No. 136. Glenfern, Cnr. Inkerman and Hotham Streets, Balaclava.